The Hot Wheels Raceway in Albufeira is the place for you if you’re looking for a little bit of an adrenaline rush. Very popular with families and stag do’s alike, this is touted as the fastest track in the Algarve, well known for its hairpin curves as well as the long straight challenging you to successfully pull off overtaking your competitors. Rev up your engines and buckle down, things can pretty intense here, even amongst close friends! 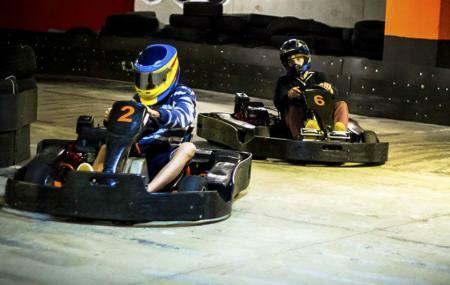 The 400m track is set off with 200cc karts with 4-stroke engines, all of which is carefully maintained by the in-house full-time mechanic to ensure top-quality safety and performance. 160cc junior kart are also available. The Hot Wheels Raceway is a great place to visit in a group to foster some old-school team-building spirit with a kick of adrenaline thrown in. Little touches can go a long way in creating an experience for a customer and at Hot Wheels Raceway, the drivers coming in in the top three places head to a podium in the centre of the track for a grand podium photo and the winner is presented with a celebratory bottle of champagne. How is that for glory? The staff is very friendly and collaborative, and might give you a discount if you go more than once. How popular is Hot Wheels Raceway? People normally club together Zoo Marine Algarve and Clock Tower while planning their visit to Hot Wheels Raceway.